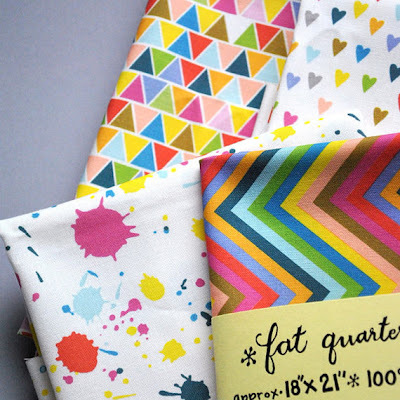 I am always searching for nice fabric. I like it colorful, fun, and clear. Here are some of my favorites that I've found lately! Lotta Jansdotter is super talented (and Swedish! I think.) 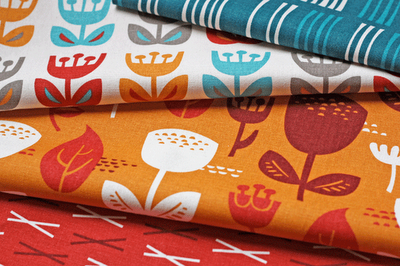 and have launched Echo, a great new fabric collection a couple of months ago. Read more about her here. These ones are made for me. I swear. They have the greatest color scheme going on. I'd like to make more art caddies of them, or maybe finally a needle caddy for me? I simply couldn't make anything that I had to give away though. 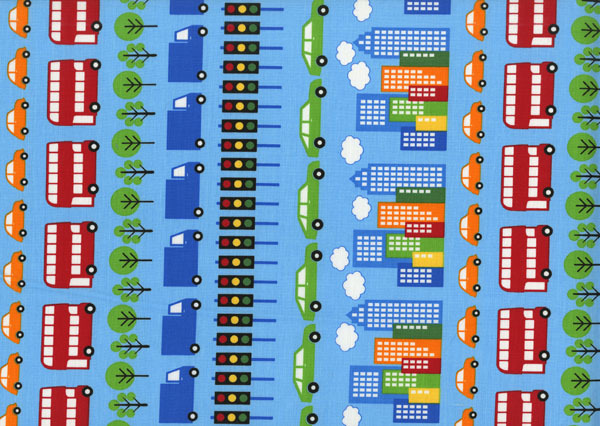 I want to look at these colors and patterns everyday. And these are great! Look at the colors, the design! 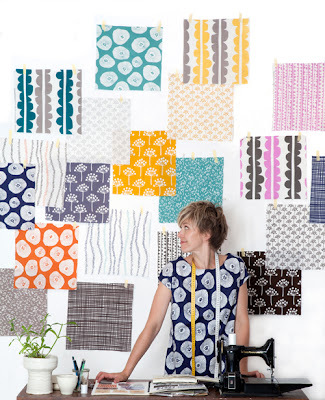 The wonderful Outside Oslo fabric line by designer Jessica Jones is stunning, and would make great tote bags as shown at Purl Bee. 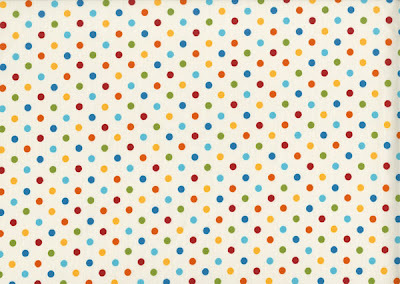 Who has a few of the Outside Oslo fabrics ON SALE. Buy now! 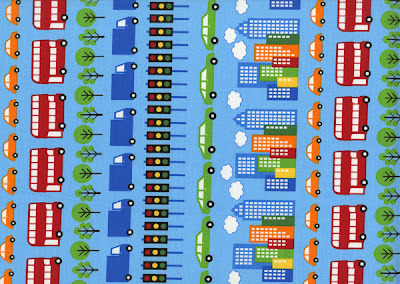 I couldn't choose, so here are two kinds of fabric from Robert Kaufman's City Centre line. For the kids and for me. The Humble Nest lists 30 Great Places to buy fabric online, they have great sources and even if you don't want to get your fabric online it's really exciting browsing through it all. Help me out. 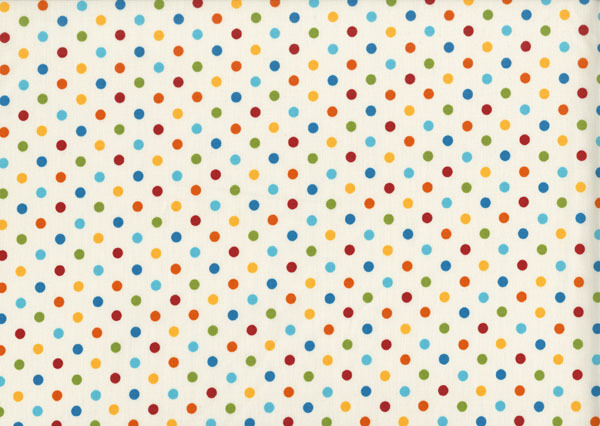 What would you make of the fabric above? 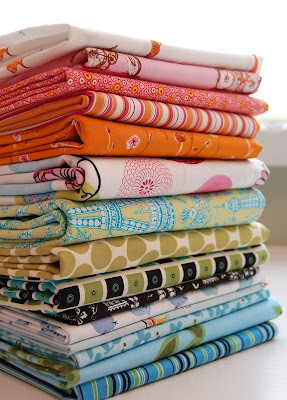 And what are your fabric favorites? Summary in Swedish: Den här veckan listar jag några fantastiska tyger och ett tips på var man kan hitta tyger på nätet. Om man inte vill handla tyg från utlandet kan man alltid inspireras! Och mycket kan man ju hitta här hemma också. Vilka är era favorittyger? 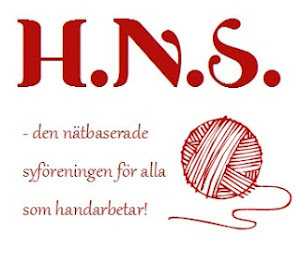 Och vad skulle ni göra av tygerna ovan? Idéer?